The United Nations on Saturday voiced alarm at the plight of Somali refugees in the Dollo Ado camps in south-eastern Ethiopia following an outbreak of suspected measles, and called for urgent action to assist an already vulnerable population. So far there have been 47 official cases and three deaths from suspected measles in the Kobe camp of 25,000 people over the past week, the UN High Commissioner for Refugees (UNHCR) said in a news release. Other suspected cases have been reported in the other two refugee camps in the area, as well as in the transit centre where there are just over 15,000 refugees awaiting relocation to the newly-opened Hilaweyn camp. “This situation is alarming and we cannot afford to wait. We must act now, urgently and decisively, to arrest and turn around this situation,” said Moses Okello, UNHCR’s Representative in Ethiopia, following a visit to Dollo Ado. UNHCR noted that the health of the refugees, who fled the famine in their homeland, is already fragile. “The mix of measles and high levels of malnutrition can be fatal,” the agency warned. Health experts said high rates of acute malnutrition, low vaccination coverage in Somalia and overcrowding in the camps are some of the aggravating factors associated with this outbreak. Mr. Okello, who said he was “shaken” by the situation in Dollo Ado, held an urgent meeting today with Ethiopian Government officials and UNHCR health partners to agree a plan of action. The UN Children’s Fund (UNICEF) and the World Health Organization (WHO), through Ethiopia’s Ministry of Health, are providing the needed vaccines. Vaccination of all children between the ages of six months and 15 years of age was started Friday for all refugee children being transferred from the transit centre to the Hilaweyn camps. UNHCR and the Ethiopian Government will lead a team of health experts to Dollo Ado tomorrow to support the roll-out of an action plan that includes the preparation of a mass vaccination campaign to begin on 9 August for all children aged six months to 15 years in Kobe camp – the most affected camp. 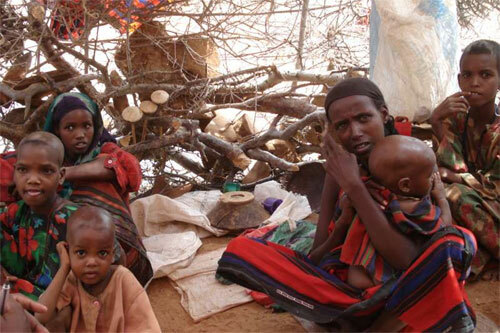 As of 5 August the number of Somali refugees in the Dollo Ado camps had reached 118,400. Nearly 78,000 of them arrived this year. This is in addition to more than 41,600 Somali refugees in the Jijiga area of the Somali region. Ethiopia hosts a total of 237,500 refugees, mainly from Somalia, Eritrea and Sudan.